The Great Mosque of Al-Haram was originally built in the 7th century and has been continuously modified throughout the centuries. 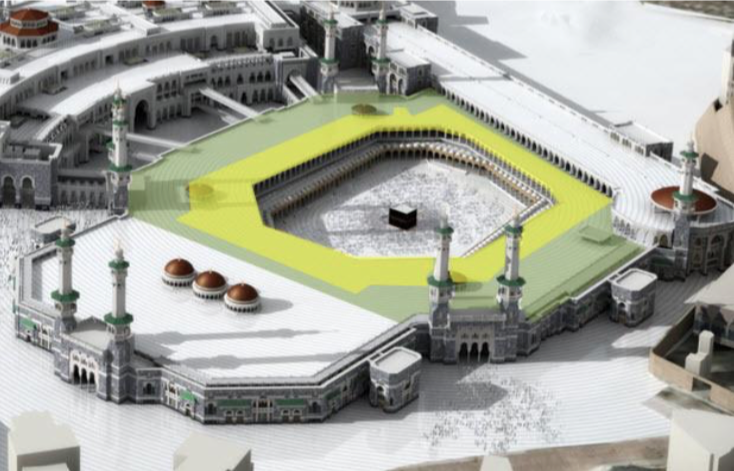 Peoples Associates provided a structural evaluation for one of more recent modifications, the First Saudi Haram Expansion, which was constructed between 1953 and 1969. The donut shaped, two-story building surrounds the historic Ottoman Arcade structures, and has a primary structural system which consists of slabs, beams and girders, columns, and concrete piers. Peoples Associates performed a Structural Evaluation of the existing building and provided retrofit and strengthening strategies based on the results of the evaluation.